On November 1 and 2, countries around the world celebrate Dia de los Muertos: the “Day of the Dead”. 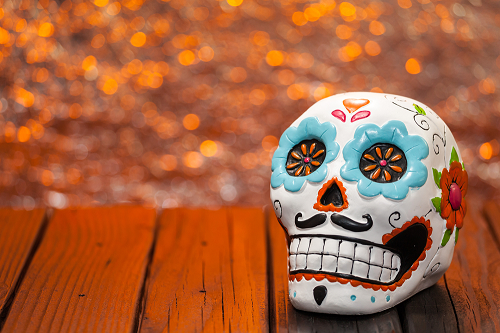 Originating from Mexico, this two-day holiday is a celebration that pays homage to the deceased, honouring them with trinkets and edible gifts, notably decorative sugar skulls. Yet, while celebrating their memory with colourful offerings shows respect, the deceased aren’t so receptive to marketing. Your retail catalogue will serve no purpose to them in any sort of afterlife, nor will their loved ones appreciate mail telling them that a golf membership needs to be renewed, or that they qualify for a credit card. We talk a lot about the importance of data cleansing for marketing, yet mortality screening is not a topic that Blue Sheep often shout about. Still, with many Spanish-speaking countries celebrating their dead, and with ghostly trick or treaters roaming the streets closer to home for Halloween, this time of year is about as appropriate as it’s likely to get. Mortality screening (occasionally referred to as deceased suppression or deceased screening) is the process of identifying deceased persons, then removing or appending their record from your contact database. According the National Deceased Register (the NDR, which is included within the Blue Sheep UK Business and Consumer Universe) an average of 40,000 new records are identified and added to the NDR file every month. Using an incorrect name in a marketing communication is embarrassing. Sending a direct mail to the wrong address is pointless. However, failing to apply mortality screening to your customer data management will be both of these things, and worse. With very few exceptions, somebody receiving a communication or call centre phone call intended for a deceased love one can be distressing for the recipient. Just one example, reported here for This is Money, shows the extent that such insensitivity can reflect badly on a business. If compassionate reasons are not reason enough (and they should be), then consider how wasteful it is sending email and direct mails to someone who cannot reply. Even if your mailing is harmless, sending it to someone who cannot possibly respond is still like pouring money down the drain. In 2016, identity fraud cost UK businesses £5.4bn a year. Some of this figure can be attributed to impersonation of the deceased (IOD) fraud, where another person fraudulently claims payments for the deceased. In just one recent instance, a man in Dublin was imprisoned for claiming €158,726 (£141,000) of his mother’s pension, for 16 years after she died. Dia de los Muertos are two days where people come together to remember those who are gone. For your business, you’ll need regular vigilance. Blue Sheep provides a comprehensive data quality service to de-duplicate, correct and enrich your customer data to ensure your marketing campaigns deliver the best possible results. 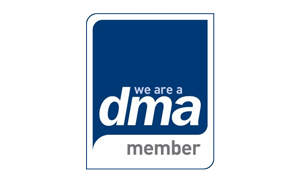 Thousands of marketers use the Blue Sheep Data Quality Audit to assess and improve the health of their marketing data.  This free service can be used as a one-time assessment of your marketing data quality, or as the first step on a partnership with Blue Sheep towards an insights driven marketing team.